Everything green, clover, and Irish is celebrated in March on St. Patrick’s Day. We want to elevate this day beyond the clothes, leprechauns, and drunken revelries to a day featuring great Irish-inspired food. Next up in St. Patrick’s Rock The Shamrock Series is Corned Beef Burgers with Stout Mustard and Fried Egg, a rockin’ way to retool corned beef into a terrific burger. Featuring a patty of corned and ground beef, and stout infused honey mustard, this burger is savory and smooth. Whether using fresh corned beef or leftover, begin by finely chopping the corned beef and combining with ground beef, minced onion, and garlic. 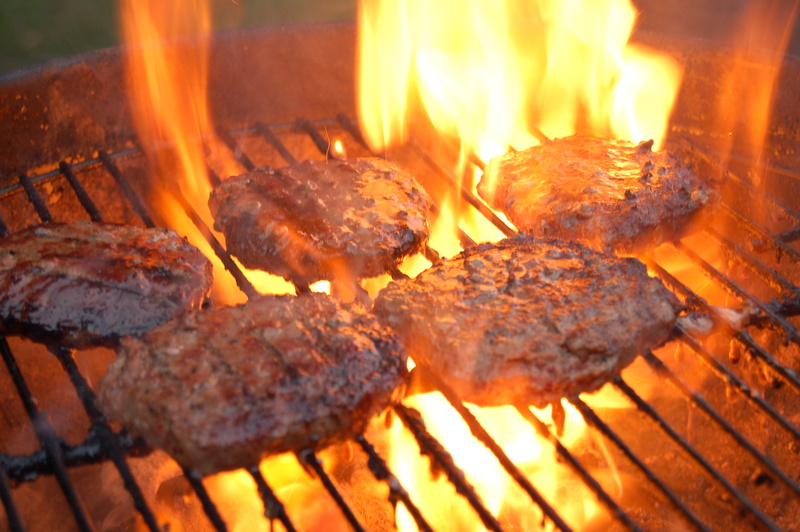 Separate into four giant patties and grill over medium-high heat. The stout mustard is simply a mixture of Dijon mustard, stout beer, honey, and pepper that can be adjusted to your liking. Prepare the eggs in a frying pan to over-easy or sunny side up, as the runny yoke brings all the ingredients of together. So fire up the grill, make sure you have your green on because nobody likes to get pinched, and let’s Rock the Shamrock this St. Patrick’s Day! Preheat grill for medium-high heat. Combine ground beef with chopped corned beef, minced onion, and garlic. Form into 4 equal sized patties. Place on the grill grate and cook for 5-6 minutes per side or until cooked through. Once cooked, remove from heat and place onto a parchment lined baking sheet. Heat oil in large skillet and fry eggs to desired doneness. Over easy or sunny-side up is recommended for this burger. Combine stout mustard ingredients. Taste and adjust to your liking. Place cooked burger patties onto bottom bun, top with lettuce, mustard sauce, sliced tomatoes, and fried egg. Add remaining half of bun and serve.